Fluffy, sweet and perfect for piping, this classic buttercream is right at home on cupcakes, cake, cookies or sandwiched between two graham crackers! There are few things simpler than buttercream. It makes you wonder why you ever bought one of those tubs of frosting. This buttercream is made from only 4 ingredients, most of which you probably have anyway. It is light and fluffy and oh so good! Plus it is really adaptable. You can change the extract to match your mood. 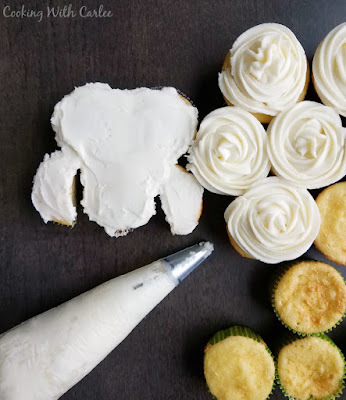 Make it a little thinner for spreading or thicker for piping. Or you can just dip in a graham cracker and call it a day! If you like buttercream but want to switch it up a bit, you may like my sweetened condensed milk buttercream. Or there is the white chocolate buttercream that is amazing too. Of course there is chocolate buttercream and marshmallow buttercream as well. You better start baking a bunch of cakes so you can try them all! n your mixer, lightly cream the butter. On low, mix in the powdered sugar and salt. Scrape down sides and continue to mix on low until incorporated. 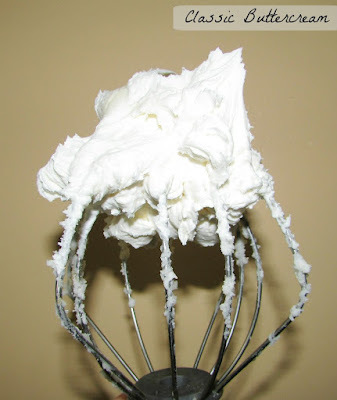 Turn mixer to medium-high and beat for about 3 minutes. While mixing, add vanilla and milk. Add more milk or powdered sugar if necessary to achieve the consistency you'd like. 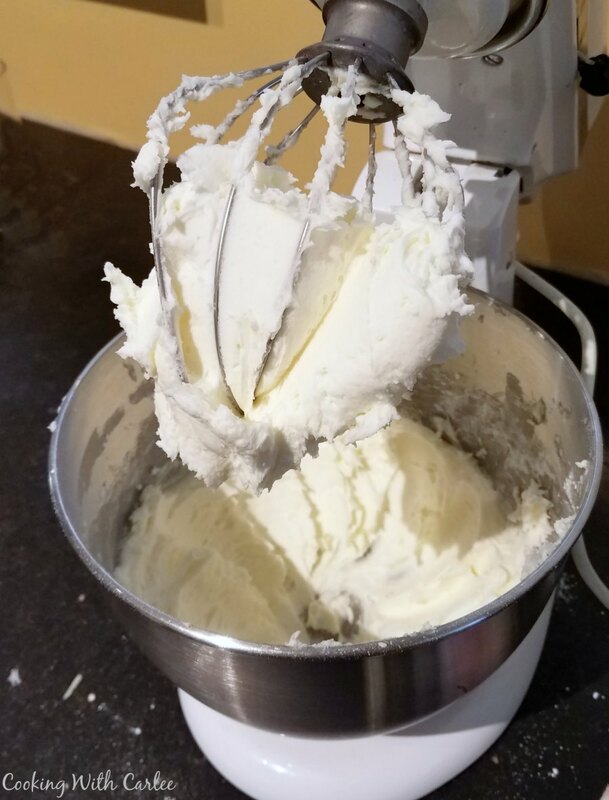 Yes, you are right, the butter cream is probably the easiest to make cream and it's delicious too! Sometimes the simple things are among the best! Thanks for stopping by! I drove myself nuts trying to find this recipe last weekend! Lol....I clicked a link under another recipe,; no go. Searched; nothing found. SOOO glad it's here today!! Pinned and thank you!! By the way, I'm a new subscriber, because I absolutely LOVE your recipes! I've been seeing them on linky parties and all...have pinned so many of them.